But still want a Reliable Sewing Machine? 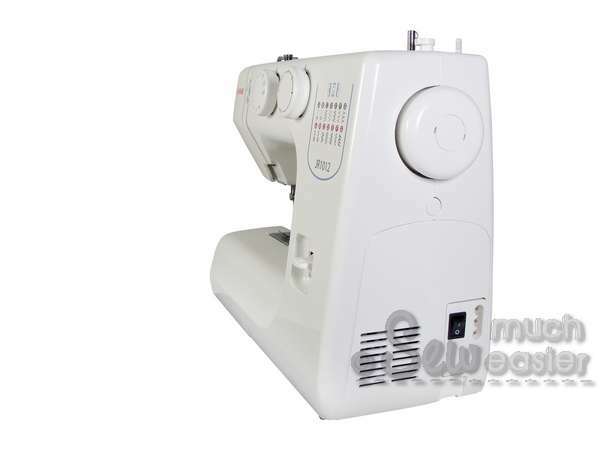 Feeling unsure because you've never owned a sewing machine before? 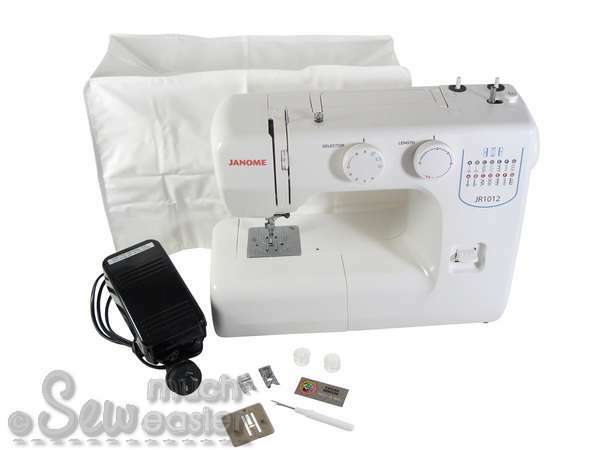 "Janome is a very trusted name in the sewing machine world, and when I sought out to buy a new machine a few weeks ago I did plenty of research before buying this model. I cannot stress how amazing this machine is, glides through thick layers of fabric with ease, very easy to thread, nice basic stitches and the tension is perfect right out the box. 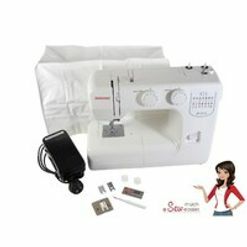 I will recommend this machine to anyone and everyone who wants to get started sewing as this basic machine will be sure to please! :)"
It'll Get You Started with Minimum Budget! 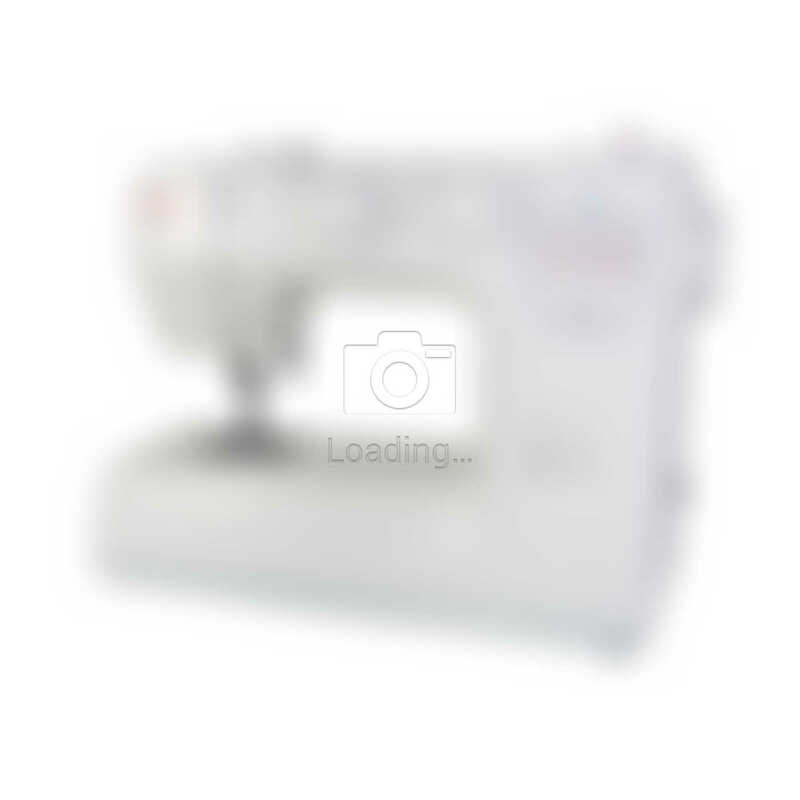 First of all... Congratulations on your decision to buy a brand new sewing machine! 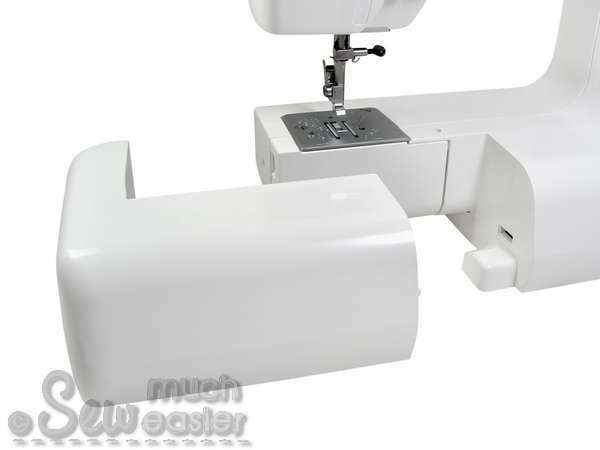 Choosing the right machine will give you many hours of sewing pleasure, and it's important that you feel comfortable & happy that you've made the right choice. But... 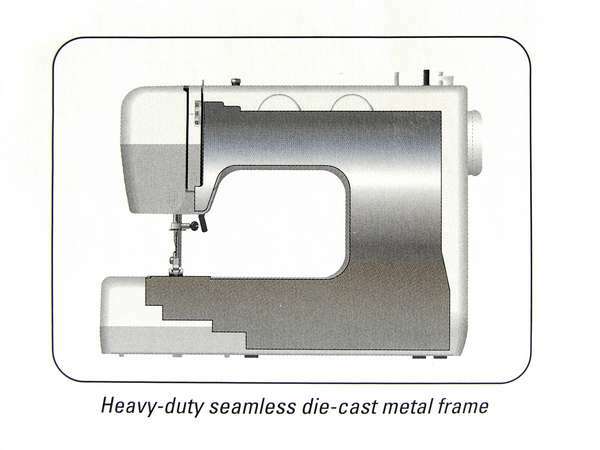 I also know how daunting it can be to consider getting a sewing machine. 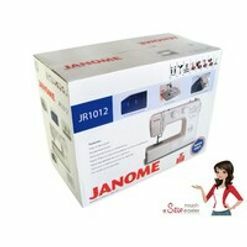 Is Janome JR1012 for You? Then Give the JR1012 a Go. 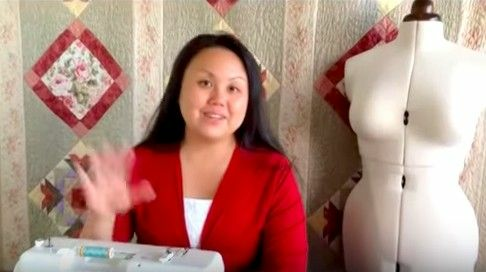 Having worked for a decade or so behind the scene in the clothing industry, I was formally trained as a Fashion Designer - and later spent 10 years teaching others the joy of sewing. I like to share insider tricks, and I believe that you get what you pay for. Buy Well, Buy Once. 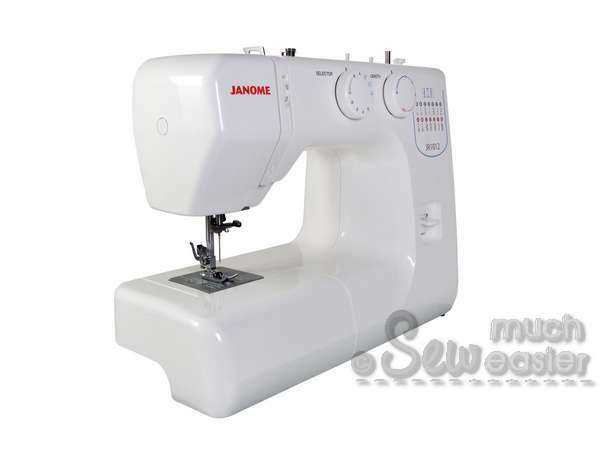 Of all the machines I've used over the years, Janome is My Favourite Domestic Sewing Brand By Far - in fact, the only brand I trust & recommend to everyone. 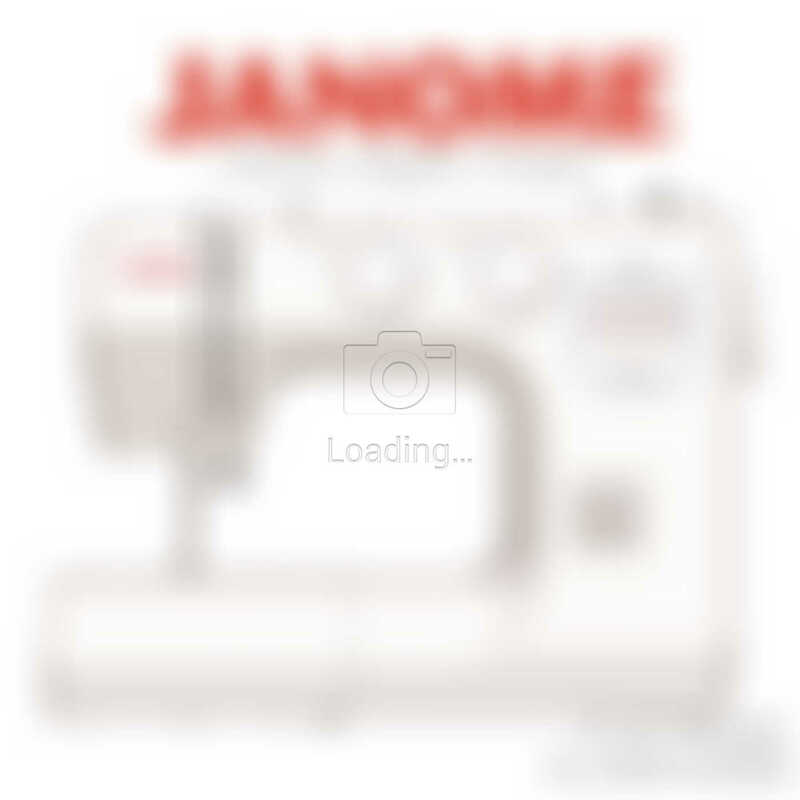 Janome is one of only TWO sewing machine brands in the world still owned by the original founding family. They take quality control seriously. 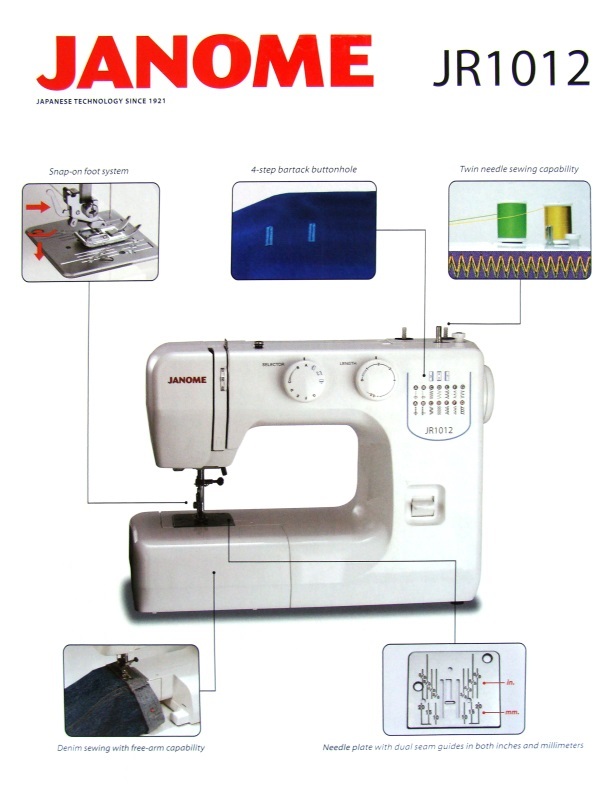 Janome parts are Always Available and Simple to Maintain. Janome makes machines that are Easy to Use. 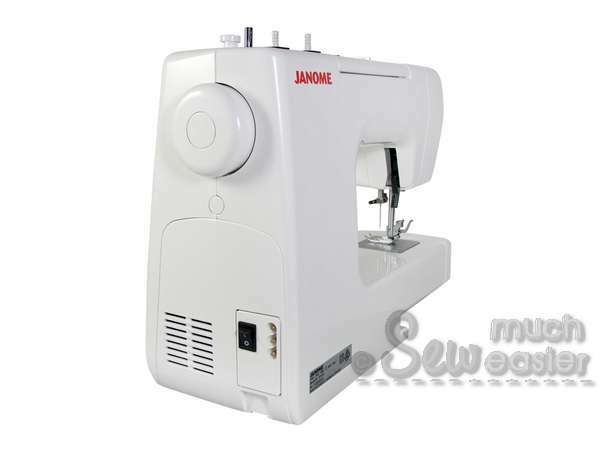 Unlike many other sewing machine brands - Janome makes ALL of their machines in their own factories. They don't contract out the manufacturing, and never cut corners just to save a buck. 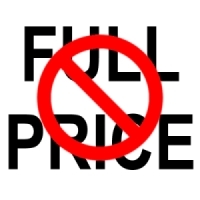 That means you will always Enjoy Reliable Quality - no matter what your budget might be! Sounds Like Your Kind of Machine? Add to Cart & Get Yours Now. 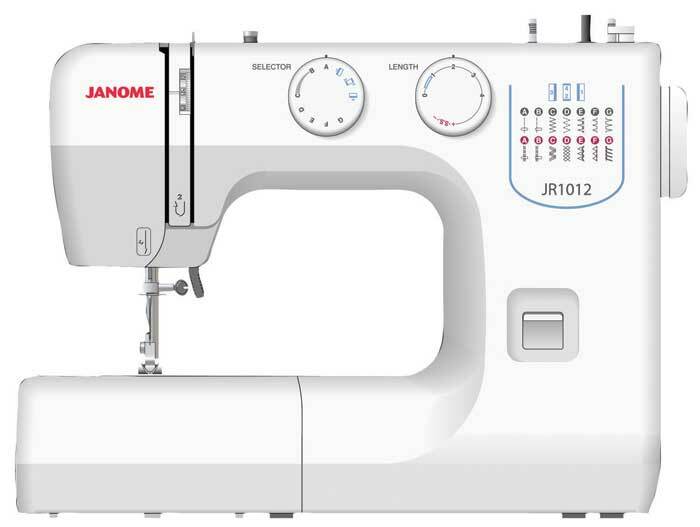 Your new Janome JR1012 will provide a reliable sewinging experience at your finger tips..... so you can get sewing with minimal expenses - knowing your machine is basic yet more capable than it seems! Imagine how much easier it'll be to get your household mending done - taking up those jeans, for example - when Your new Janome sewing machine is there to help make everything look so professional, yet so easy to achieve. I'm so sure you'll just love your new Janome JR1012 because of all the wonderful feedback and emails from other customers who are absolutely thrilled with theirs! 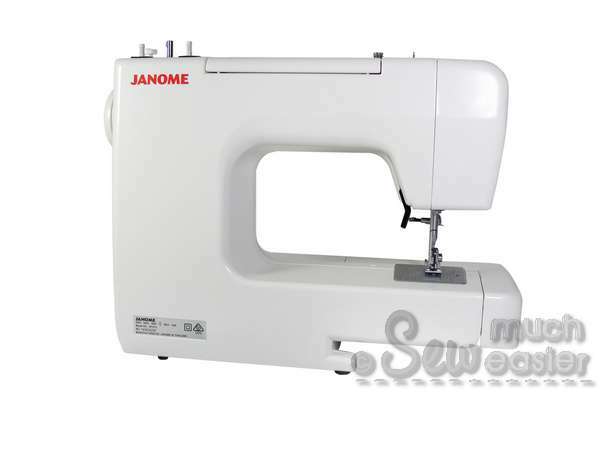 "Perfect for a complete novice, Janome JR1012 has all the basic stitches a serious beginner needs when learning to sew and make clothes. It threads easily and has an easy to follow guide book. 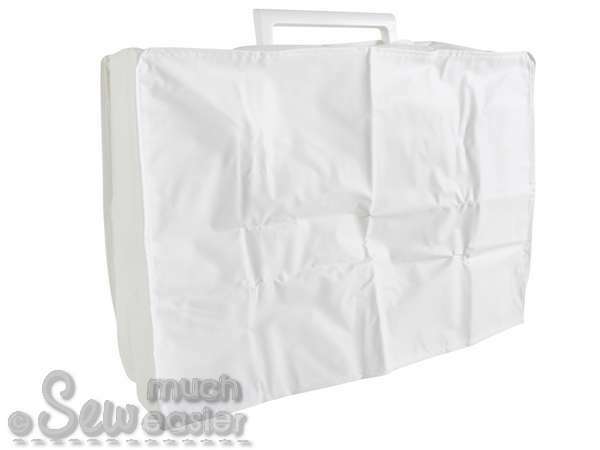 It comes with a soft cover which is enough for home storage. It feels steady even when you get up to a faster speed. A couple of years ago I bought the same machine for my daughter, and it has been without problems. This one I bought for my daughter in law because I know from experience this model is dependable. Being a mechanical machine, it is a good idea to practise on spare material forward and reverse to get rid of any surplus oil it has around the bobbin area, before starting a project!" 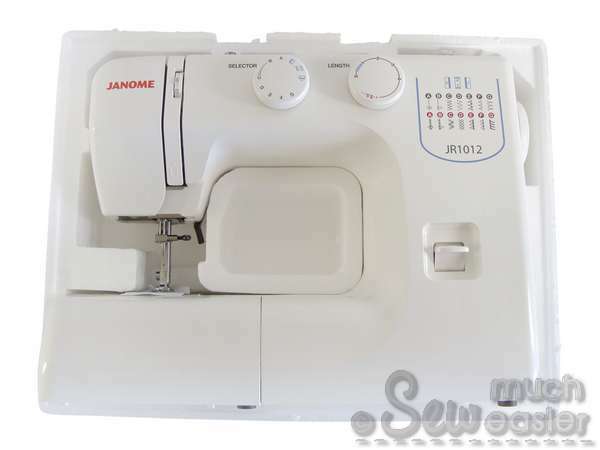 Your New Janome JR1012 will soon become your best friend. 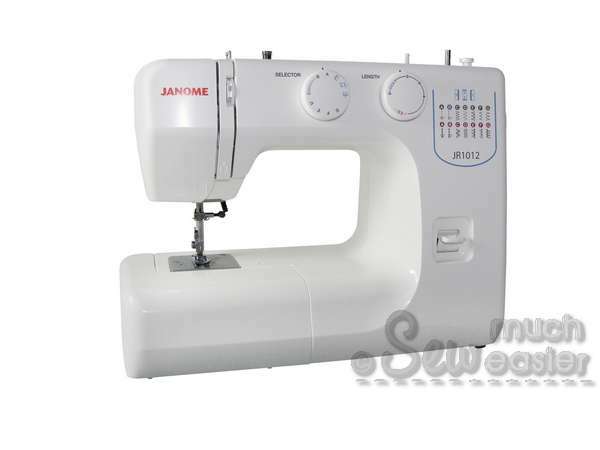 The Janome JR1012 is a top quality entry level model offered at budget-friendly price. 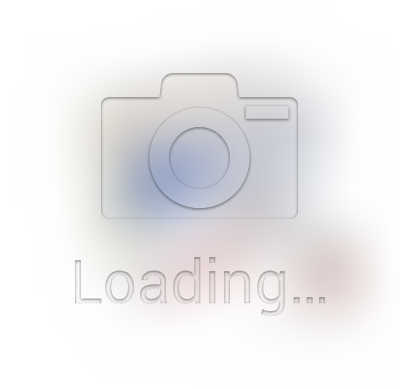 What you get is a robust mechanical machine. 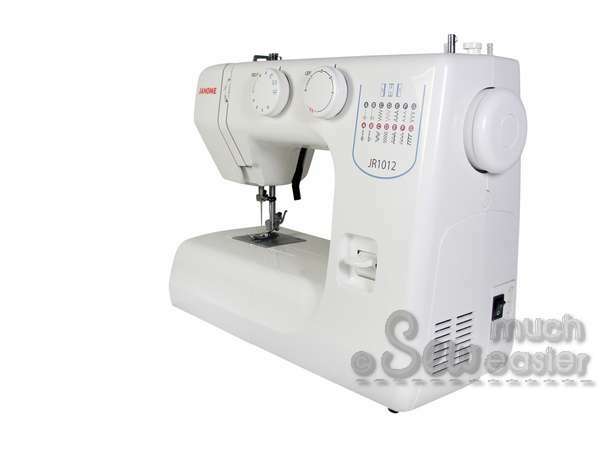 As simple and basic as it seems, JR1012 is capable of giving you 58 stitch functions from 13 built-in stitches including a 4-step buttonhole. The easy-to-use dial means selecting pattern, changing stitch width and length are a breeze. 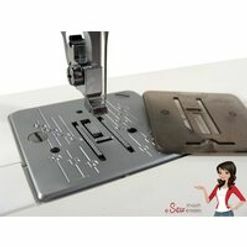 It comes with a convenient built-in blade for thread cutting - one hand is all you need, for getting your sewing off the machine at the end of each stitch. Want to sew armholes and other fiddly bits? No worries - take off the storage box and you have a free arm. Sew at your own pace - the Speed Control lets you sew up to 860 stitches per minute for those who want to get more done in less time! Thinking of taking up machine quilting? Easy. Pop the cover over your feed dog to make way for free-motion quilting. 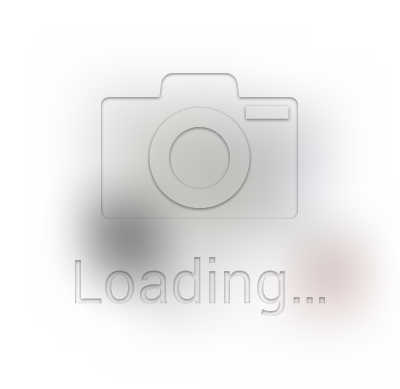 This is a front bobbin loading machine ("Front Loading" for short). The bobbin goes into a metal case and then into the machine from the front. 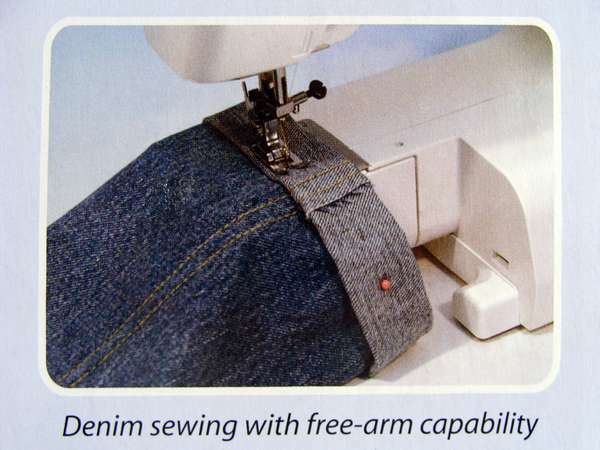 It has denim sewing capabilities - perfect for those mending and alterations to save your favourite jeans. Lightweight (6kg) yet made of real metal interior - great for classes, the price is also right for a beginner or the budget-conscious. Perfect! Add Yours to Cart Today. 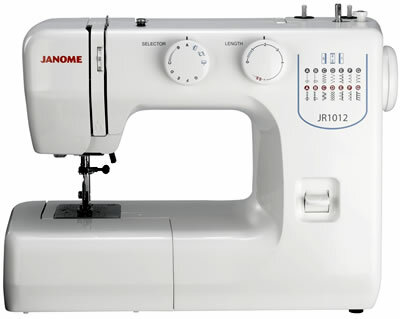 Like all Janomes, the JR1012 is designed to withstand daily usage - it produces beautiful stitches over and over again - thanks to the precise stitch mechanism Janome is known for, you can now create professional results every single day! All You Need to Do is Place Your Order. 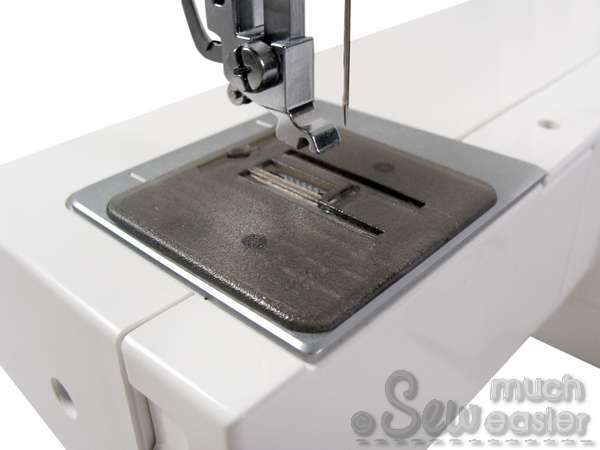 Front Loading Machines are BEST suited to specialised thread work such as Shirring?! Because having an old-fashion, mechanical bobbin case means you have FULL Control of bobbin tension. This is really useful when you use non-standard bobbin threads like shirring elastic or mono-filament. 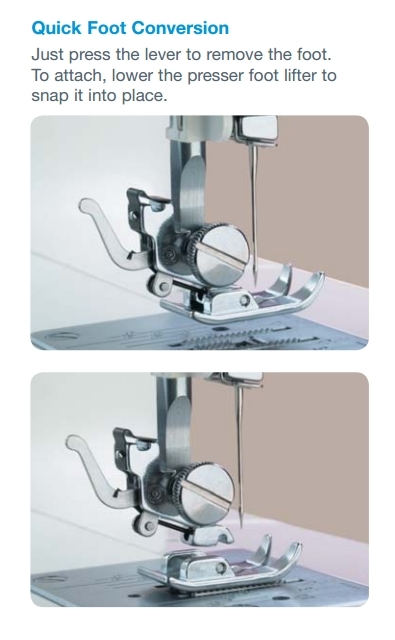 You can manually alter and tweak the bobbin thread tension until you have a perfect result for your project. For those who need to do this regularly, it is best to purchase extra metal bobbin cases, get the tension just right for the type of bobbin thread you use, and then leave the bobbin case as-is for the right setting and reserve it to use for the type of thread only. For example, you might have one adjusted for shirring elastic, one for mono-fillament (most commonly used for machine applique), and one for regular sewing in normal cotton or polyester thread. This way, you don't have to muck around with bobbin tension each time you change the type of thread in the bobbin! Why Not Order Yours Now. 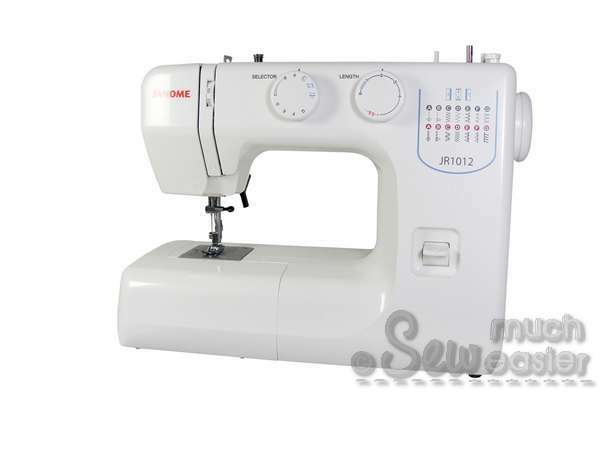 A Robust, Reliable Mechnical model to suit your needs - whether you have a passion for sewing or just want to get things fixed around the house. Easy stitch selection with easy-to-use dials at the touch of your finger tips. Just the functions you need - without the ones you don't. 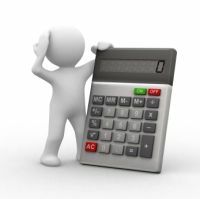 Why pay more for what you don't use? Clip-on Feet for quick change. No screw driver required! Darning Plate to cover your feed dog - free-motion quilting or embroidery is a breeze. 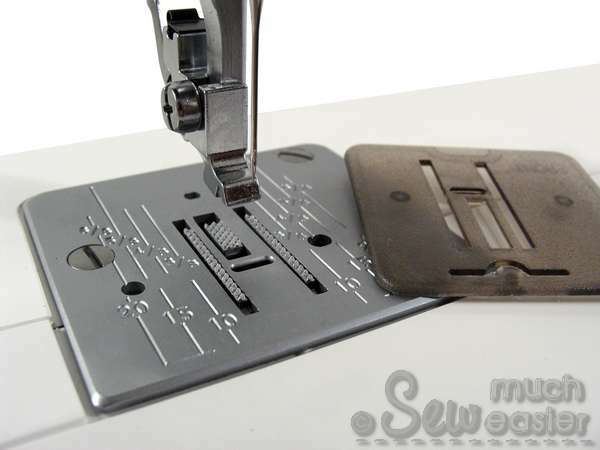 Reverse Stitch - press the lever and you can secure each and every seam with ease! Twin Needle Capability - two built-in spool pins means you can thread up TWO spools of thread, side-by-side. Twin needle NOT included. Fast & Simple to Thread-up - Never cringe again when you need to use different colour threads!  Front-Load Bobbin System - an oldie but a goldie. You can tweak the bobbin thread tesion to suit the kind of work you have on hand! Four-Step Buttonholes - creating neat results have never been so easy! 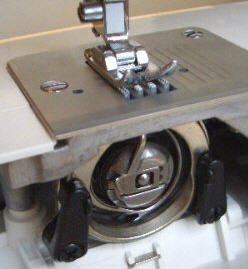 Automatic Presser Foot Adjustment - built-in to handle all types and weights of fabric AND it's all done for you. 58 Unique Stitch functions from 13 Built-In Stitches - so you will be able to create unlimited combination at your finger tips! Built-in light source (incandecent light bulb) so you can see what you're sewing! Light Weight (ideal for attending classes or social groups) - around 6 kgs, grab it by the handle and take your sewing with you wherever you go! Removeable Storage Table - lets you sew "free arm", perfect for fiddly bits like sleeves and armholes. Hidden Accessory Box - provides a handy place to pop your feet, bobbins and tools between use. No more hunting around in your sewing baskets! 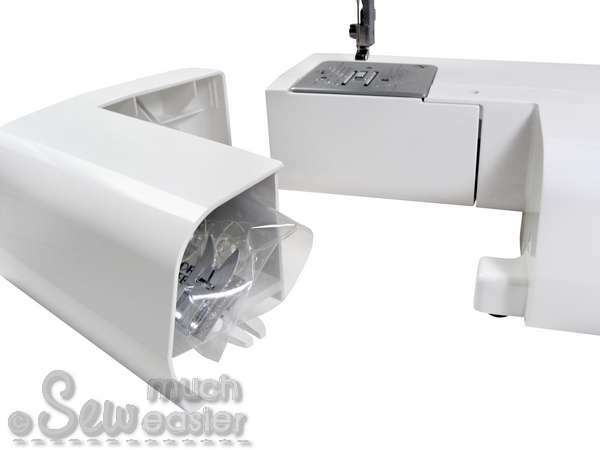 Soft Dust Cover to protect your machine - so your machine stays clean and dust-free! Grab One While Stock Lasts - Don't Miss Out! Sounds like just what you need? You know you deserve it! So Put In Your Order Now... Because You Don't Want to Miss Out! 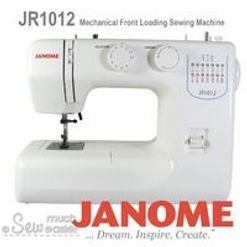 The new Janome JR1012 gives you a wide range of features in an entry-level machine...... without breaking the bank. The Recommended Retail Price (RRP) given by Janome Australia is $299.00 - but you don't need to pay that much when you shop with us! Like the Special Price Right Now? Hurry & Order Yours - Sale Ends Soon. Wondering What Else you get with the machine? Bobbin x 2 - fill 'em up and have 'em ready to go! Metal Bobbin Case x 1 (shown right) - pop your filled bobbin in and voila! Seam Ripper / Buttonhole Opener - handy to have around. Darning Plate to cover the feed dog when you want to free-motion or quilt! Needle Set (3 needles) so you can change needle often and protect your fabric. Buttonhole Foot - essential for buttonholes but great for applique too! Zig Zag / All Purpose Foot - if there is ONE foot you need, it'd be this one. Quick Start Guide - gets you going at a glance (an excellent cheat-sheet)! 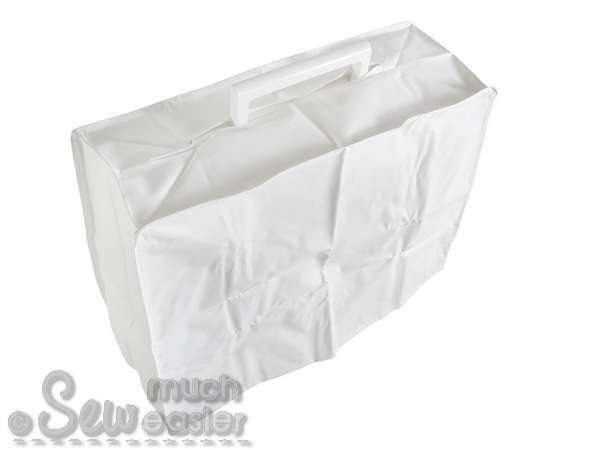 Dust Cover to keep your machine in top-nic and dust-free! 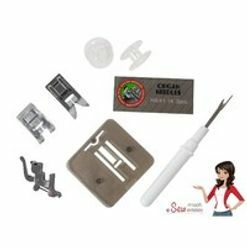 That's everything you need - to get you sewing right out of the box! Add Yours to Cart Now. 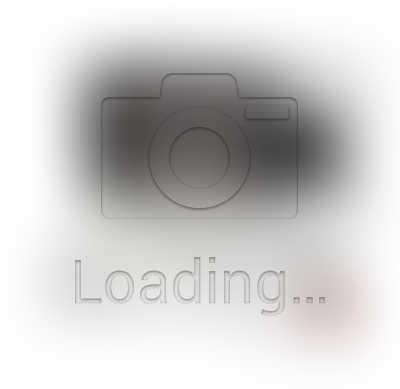 Take a peek: an X-Ray view if you will. 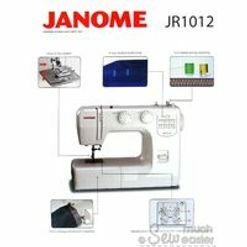 The photos here show a Janome JR1012 with a see-through exterior. 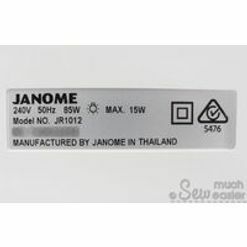 You can easily see - inside every Janome there is REAL metal (aluminium die-cast to be exact) that can be found in even the most inexpensive, entry level Janome. 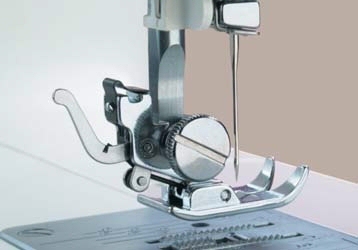 The die-cast aluminium frame in a Janome provides the strength and stability required for the precise action of the sewing machine needle and mechanism. The exterior is just that - a shell - and not part of the structure of the machine. 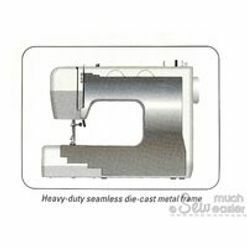 Unfortunately there are other brands of sewing machine on the market in Australia right now that have no internal frame (let along metal). 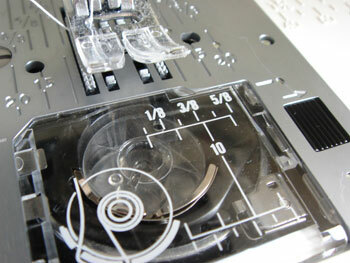 It means the components are merely attached to the outer plastic shell of the machine. There is simply not enough rigidity for high speed movements! 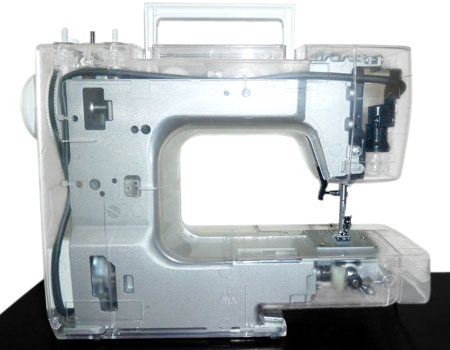 With Janome, there is always inner structrual support which means your sewing machine performs better, and it lasts longer. Buy Well, Buy Once. "Got this for a 10-year-old niece to start her sewing lessons on. I have two other Janomes and am VERY IMPRESSED with this little machine! I know from experience Janomes are very reliable, sturdy workhorses that keep going for years, and mine have never needed repair aisde from regular maintenance such as cleaning dust out of the bobbin case. It runs and sounds exactly like my big machines - very smooth and precise and all the stitches are perfect. There's definitely no reduction in quality with the reduction in size/weight and price. This machine weighs a bit less than 6 kg, so it would be perfect to carry to classes. FEATURES: It doesn't have drop feed-dog but comes with a cover plate for free motion stitching. 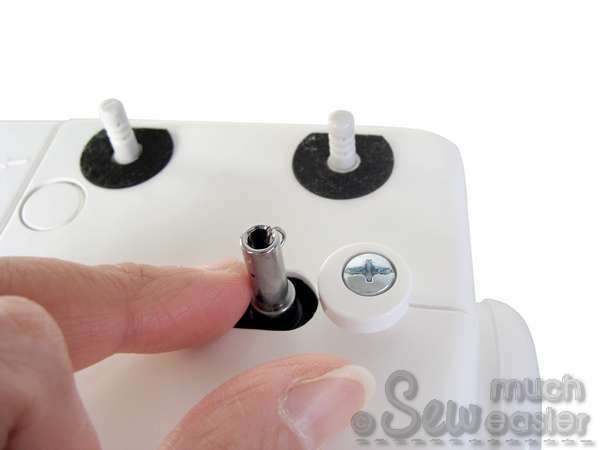 For bobbin winding you pull out the handwheel, very easy to do. The bobbin case is in front instead of top-loading if that is an issue with you, it doesn't appear to have the thread tangling problems that frontloading Singers do. 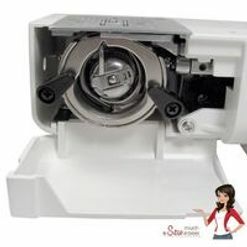 It does not have an automatic needle threader, needle up/down button, or adjustable presser foot pressure. If these options are important you need to upgrade to a more expensive model. 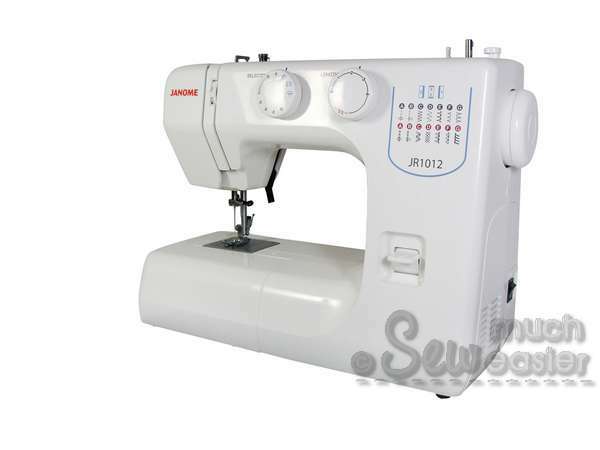 For a basic sew & go or beginner machine at a great price, I don't think you will find better value than the JR1012. 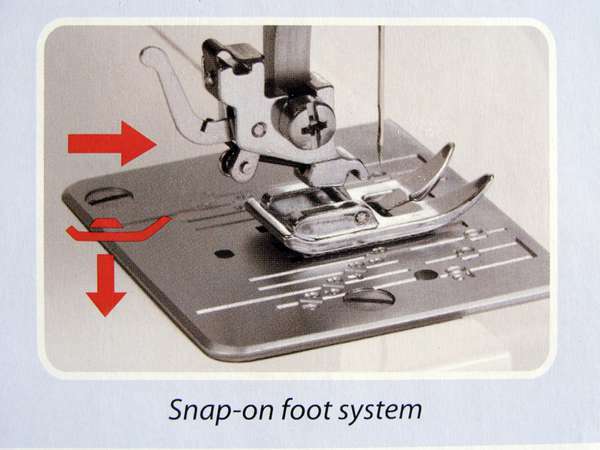 FEET: It requires a phillips screwdriver to remove the snap-on shank, which is not included. 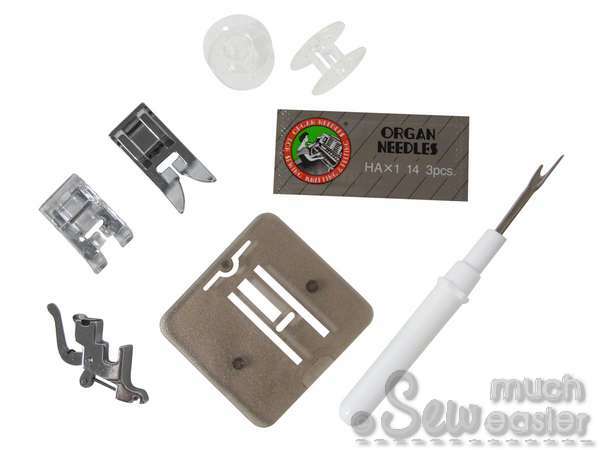 If you buy extra feet for it, make sure you get feet made for the 5mm front-load bobbin style, as the needle is in a different spot and the alignment isn't the same as feet made for 7mm top-loading, unless there is a wide opening for the needle. TIP: Always turn the handwheel and get the needle in position for the next seam before ever lifting the presser foot to remove the fabric and pull out the thread tails. My niece did have thread jams until she got used to turning the wheel to get the needle in the right spot. Once she got used to it, no more jams. It's just the 'nature of the beast'. As I've sewn many years, I can definitely see the Janome quality there and I expect it to last for years trouble-free." BUT.... Make Sure You Act Quickly. We Have Only A Few In Stock. Be Sure Get Yours Now While Stocks Last! 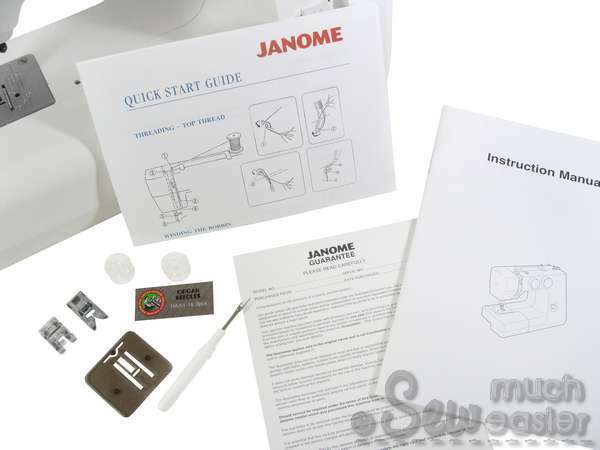 So when you open the box, your will find the new Janome JR1012 nice and snug inside its own foam cut-out. I always make sure that my customers keep these foam cut-outs along with the box it came in - just in case you need to move house or put your machine into storage. 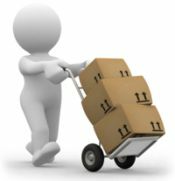 Also, in the highly unlikely event where you may need to send the machine back to us for a any reason, the machine will need to reach us in all of its original package, because we cannot be responsible for any damage incurred in transit. The best way to ensure safe travel for your machine is to simply KEEP every bit of the packaging and put them back inside the box, then just store the box out of the way. Easy! And Enjoy Professional Finish Forever! 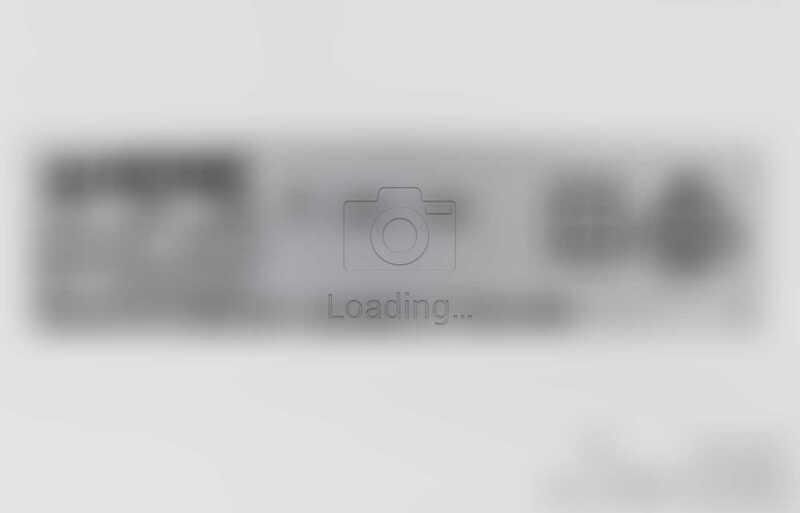 What's the Difference between "Top Loading" and "Front Loading" machines? Whether a sewing machine is referred to as "top-loading" or "front-loading" it is the bobbin position that tells them apart. 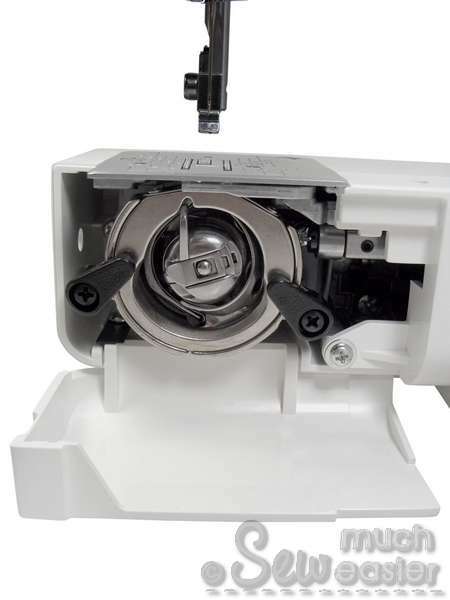 A "Top Loading" machine has a "drop-in" bobbin, where the bobbin goes in from the top, directly underneath your needle and presser foot. The lid is usually clear so you can see the bobbin. This type of mechanism is called "Horizontal Full Rotary Hook", where the bobbin is driven by the machine to go round and round in full circle movements. 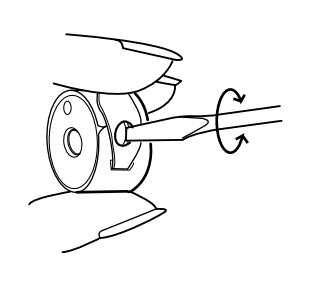 Horizontal refers to the bobbin position - it sits horizontally in your machine and faces up. 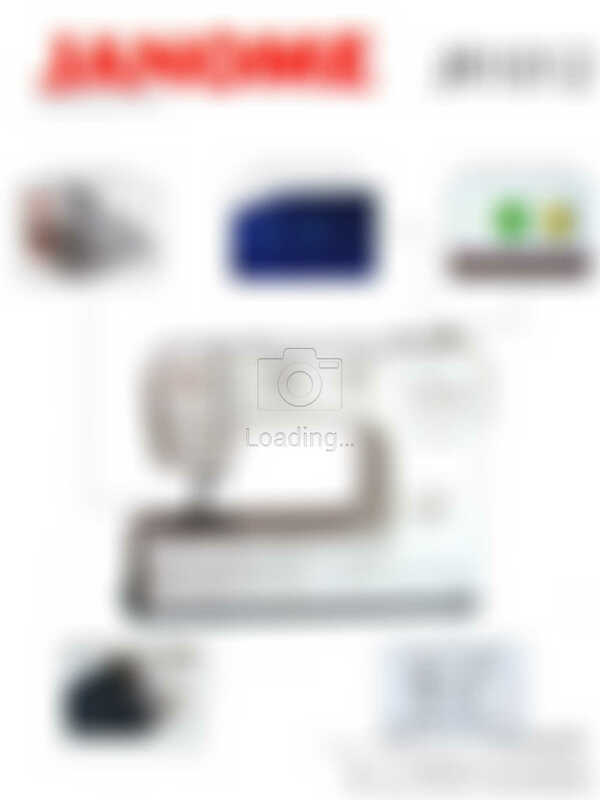 A "Front Loading" machine has a different spot for your bobbin. It is hidden behind the storage box, inside a trap door. You cannot see the bobbin at all until you open the trap door - and then you will see a metal bobbin case, which is removable. You filled bobbin goes inside this metal case. This type of mechanism is called "Vertical Oscillating Hook", where the bobbin goes side to side instead of completing a circle. The bobbin stays vertical inside the bobbin case. What does "Low Shank" and "High Shank" mean? It means "shank height" or "shank size". 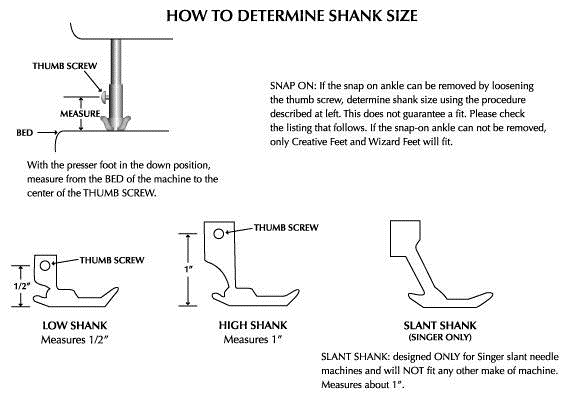 Most domestic machines have LOW shanks. Just to give you an idea, we sell about 10 low shank presser feet to ONE high shank foot. That means if you don't know what sort of shank your machine has, it's probably a LOW shank. Because High Shank machines are generally "fancy" embroidery models which are more costly, and those who invest in these models tend to know exactly what shank type it is. JR1012 is a "Front-Loading" machine, and uses "Vertical Oscillating Hook" mechanism. This model has LOW shank. 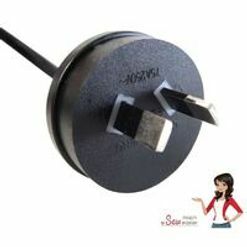 Can I buy other presser feet? Sure! Please see individual listing in our store for details. This machine only comes with two, so chances are you might want to get a few specialty feet such as walking foot or darning foot for quilting. 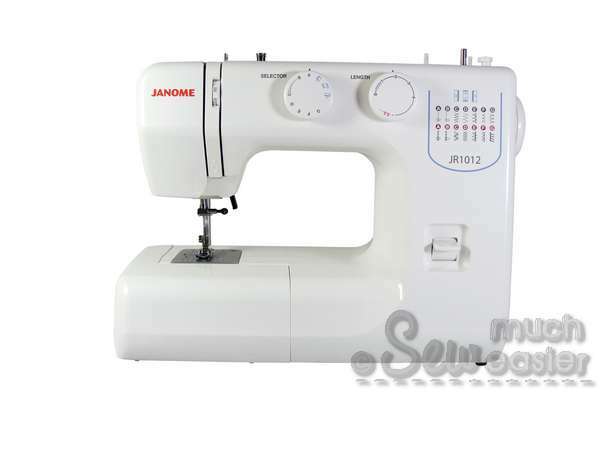 Janome Australia did not include any specialty foot in the package, because the JR1012 is an Entry-Level Model (you get essential functions at a great price). Can I do free-motion quilting and embroidery with the JR1012? Yes. Instead of dropping the feed dog, you would simply pop the darning plate over the feed dog and cover it up (so that the machine does not "feed" the material for you), allowing you to "steer" the stitching in any direction for free-motion work. See below (shown without any presser foot). Where Do I Go For Regular Service Or To Purchase Parts and Accessories? 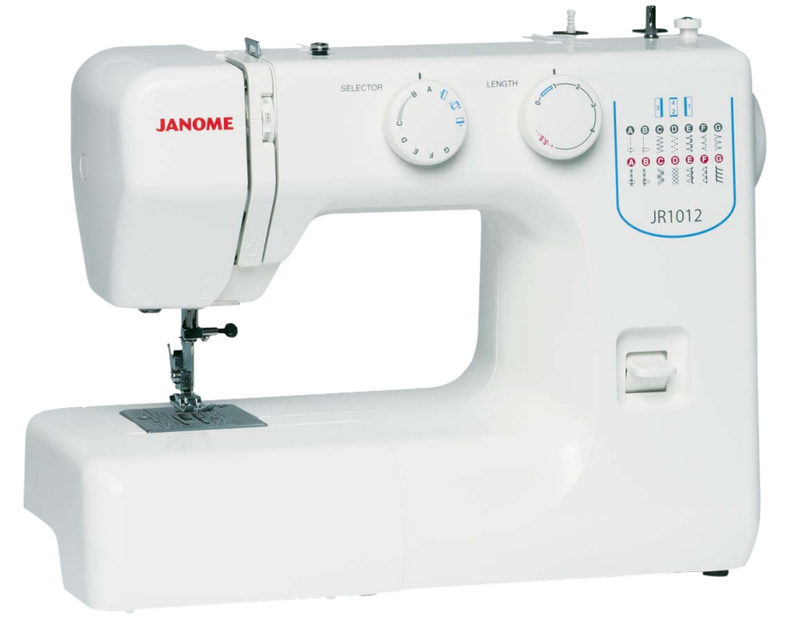 Janome Japan has been manufacturing some of the BEST machines since 1921. 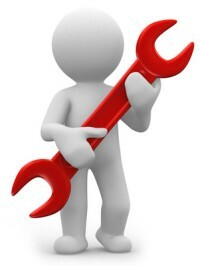 Because of their popularity and reliability any issues with service or parts are easy and cheap to solve. We also supply other feet and attachments to suit - please check their individual listings in our store for details. 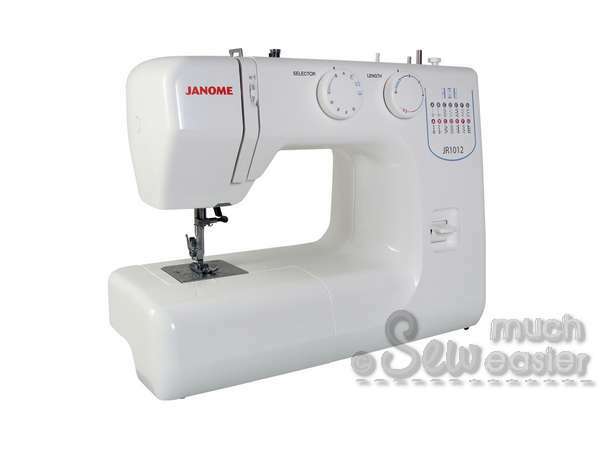 All spare parts and additional accessories are available from any mechanic who looks after Janome. Just let them know it is a "Front Loading" Janome Machine with "Low Shank". They will also be able to service your machine regularly, so you can easily keep your machine working at optimal condition. 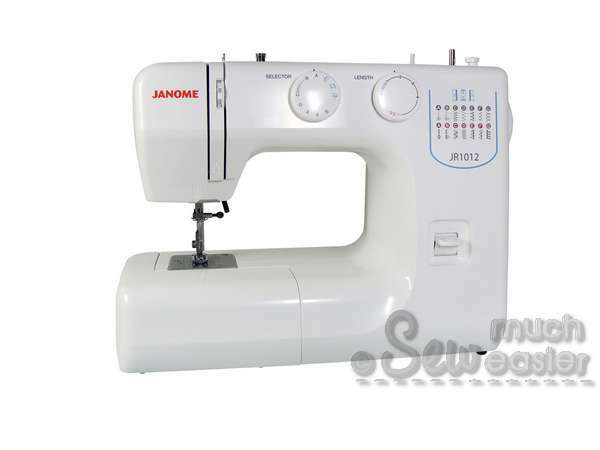 From my experience, my Janome has been like a Toyota car - always reliable, simple to operate, easy to buy parts and cheap to service. 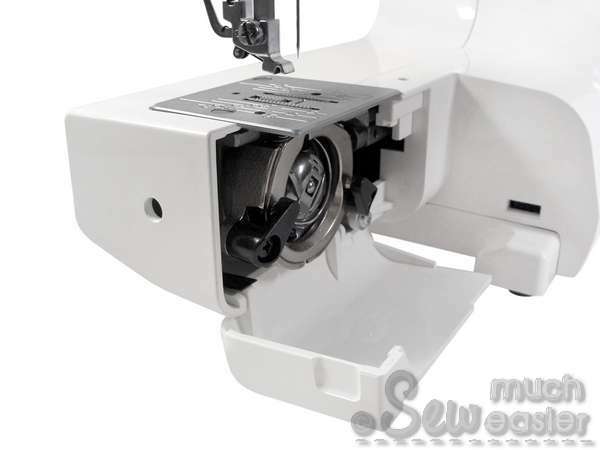 What else could you ask for in a sewing machine? 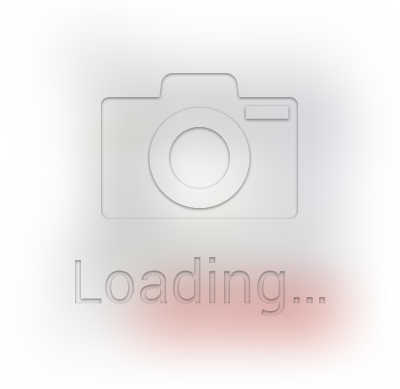 In the unlikely event something does go wrong, we've got you covered. Sounds Good - but why wouldn't I buy directly from Janome? Here's something most people didn't know: Janome Australia doesn't deal directly with the public. Neither does Janome USA or Janome UK. 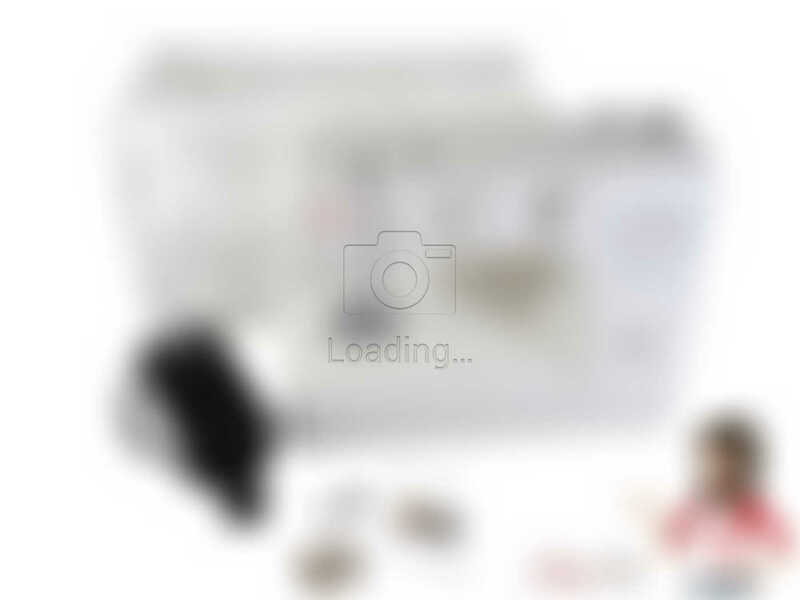 Actually, the authentic Janome website won't let you place orders. You can find all sorts of information there, but you won't find an "Add to Cart" button if you're looking at the real deal. 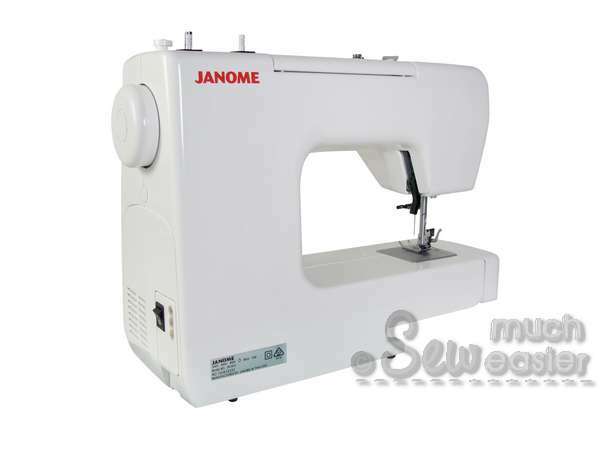 In case you come across any website with "Janome" in the name that you could buy from - chances are, you've found someone who'd like you to think that you're dealing directly with Janome Australia themselves. Which isn't the case. Think about it for a second: when someone is prepared to hide the truth about who they really are, what else might they be hiding? 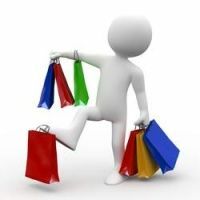 Why should I shop with you over a dealer with a brick-and-mortar shop? Yes, it is true that we ARE an online store. We do not have a physical shop front. 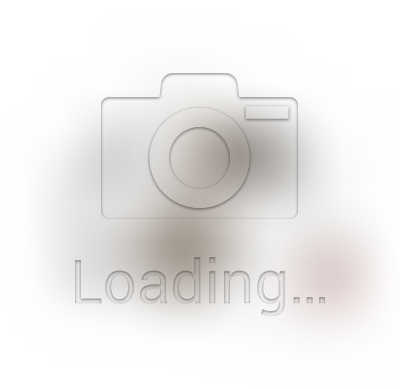 That means we take online shopping seriously - because this is ALL we do. This is our life's work and we are 100% commited to look after YOU. Not having a physical shop front means YOU have our undivided attention. When you shop with us, there will be no distractions, no other customers to fight over, no waiting in line just to ask a question. 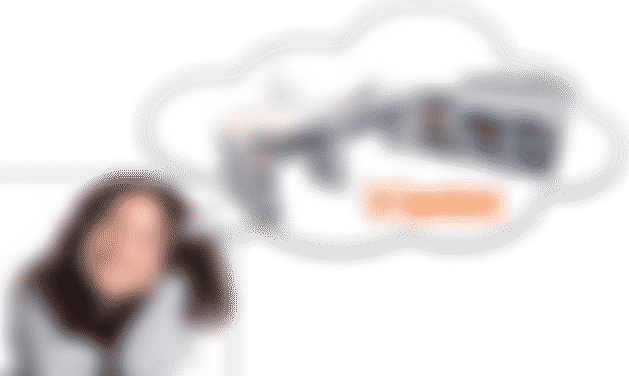 It's just you, the products you want, and really detailed description plus heaps of photos (that we take ourselves) to make sure that you know exactly what you are ordering. That's our way of making shopping (and sewing) easier for you! Instead of worrying about rents, keeping up appearances, and going into price-war with other dealers, our sole focus in on how we can make your shopping experience with us as enjoyable as possible. Because life to too short for poor services and you deserve the BEST - afterall, shopping and sewing should be fun. Right? Me Too. Let's Place Your Order Now. I would like to buy more than one. Can you do a better deal? Absolutely. Group purchases and wholesale enquiries welcome. Our clients include small business owners in dressmaking / tailoring or alteration, group and schools, as well as craft enthusiast / artisans who sell their creations for additional income. Email us if you want to purchase more than one, or simply make us an offer..... you might be pleasantly surprised! Is there a phone number so I could speak to someone? Sure. 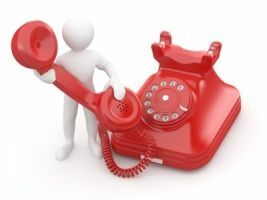 We will provide you with a direct contact number as soon as you send us an email. 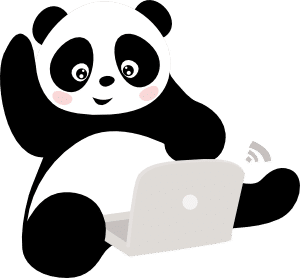 Shelley and the Sew Much Easier team are always happy to answer any question, technical information, pricing or anything else you wish to know! Shop with Confidence - We Look After You with Genuine Warranty! And Enjoy Your Next Sewing Adventure! A.) It had to be affordable. We have a tight budget. 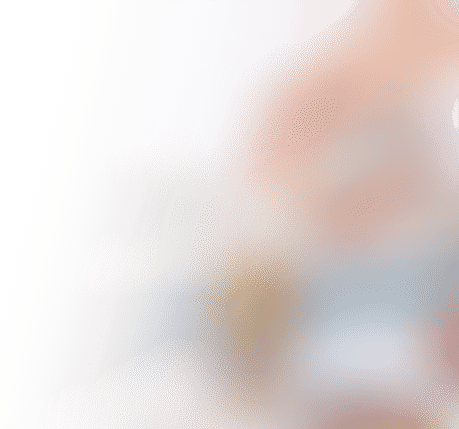 B.) We wanted it to be mechanical, with fewer features that might play-up later. A good mechanical machine with a metal body will last a long time. C.) The machine had to be dependable. D.) We wanted a machine that could be used for quilting and other projects that require several layers. Most of the less-expensive machines are so cheaply made or so lightweight that they can't be used for any serious work. Janome JR1012 fit all of these criteria.We've had the machine for two weeks now and have used all of the different features. It works great. 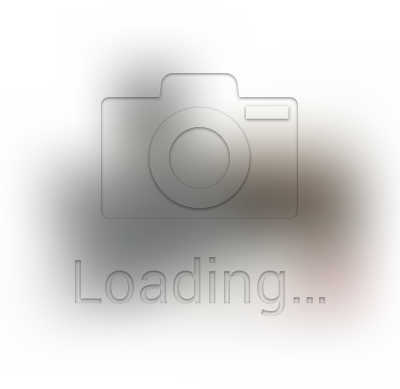 We've also made several big projects using this machine, so we know it works well. We finished a handbag for a cousin's birthday last night. Some of the stitches had to go through many layers, most of them heavyweight, and the machine happily went over all of them. That's saying something." "I'm 58 and have have sewn since I was 12 years old, even as a professional seamstress for a while. I couldn't be happier with this machine. It's easy to thread. Smooth bobbin action. Multiple stitching options and really can handle most fabric weights. It's not industrial strength so I wouldn't try it on anything terribly heavy like multiple layers of leather. However, it did a good job at fixing my son's jeans and transitioned well between heavy flat felled seams with multiple layers and single layers of denim. I have little time for any real dress making or detailed tailoring these days, but it's a very serviceable machine. 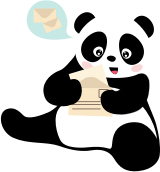 Great purchase with fast delivery." "First off, let me just say that I am a beginner to sewing machines. I have never taken a class or had anyone tell me how to use this machine. I got this machine to sew as a hobby. The default stitches is more than enough for a beginner. I do suggest you get some good quality thread because I had to re-thread the machine countless times due to poor quality thread. If you read the instruction book, you should know all you need to to start making some stuff. I already made a messenger bag that I have been using everyday for school, some wallets, a scarf and more. 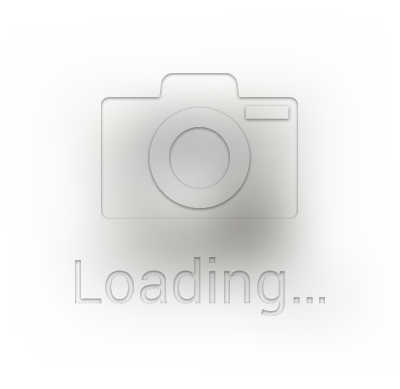 In fact, an hour after I got it, I had made a hair bow already. It was really easy to teach myself how to sew despite no previous experience. 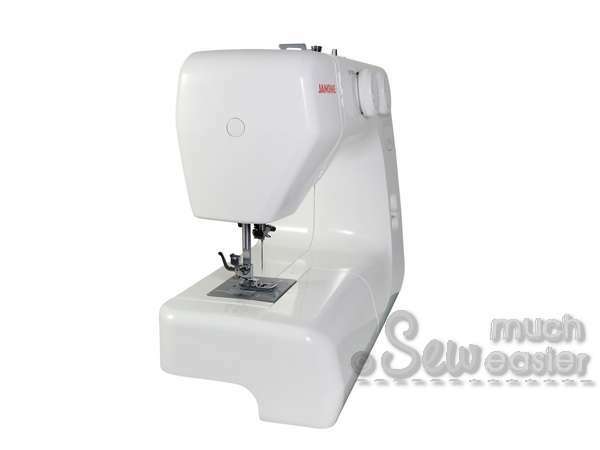 This machine is heaven to me because it managed to sew through 6 layers of home deco fabrics! It didn't even make any sounds like it was in pain. I have yet to try it on several layers of denim but I am pretty sure it will no have trouble doing so. Be careful of sewing TOO much layers though. I tried to sew so much layers that it reached the foot and it couldn't even more and the needle snapped! ALSO. If you have any trouble with the thread catching or breaking or whatever, I found that the solution to these kinds of problem is just patience and removing the bobbin case and then removing parts behind it. It is extremely easy assembling it back together. If you don't know how, just look at your instruction booklet. It has a diagram telling you how to assemble the pieces back together. Whenever my thread catches and get stuck, I just removed the bobbin area's pieces and it unstuck itself. I hope that makes sense because discovering that was my life saver when I thought I broke my sewing machine. As for the backward stitches, I find it really accessible and easy to use because the lever is in the front and so large. 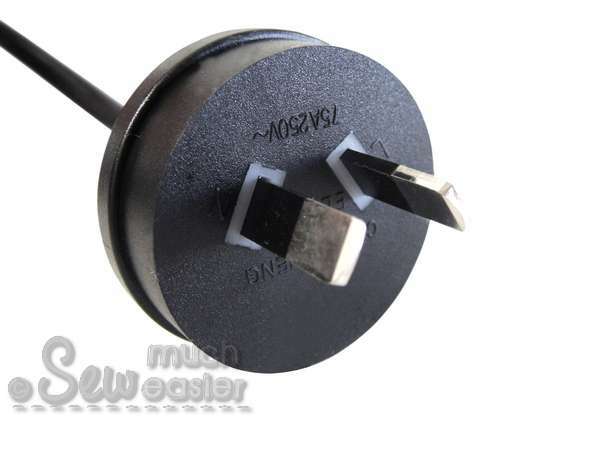 You can also take out the extension bit for free-arm sewing. That is how you can sew sleeves or remove the bobbin case. Inside the extension you can store any thread, bobbins, seam ripper, etc. 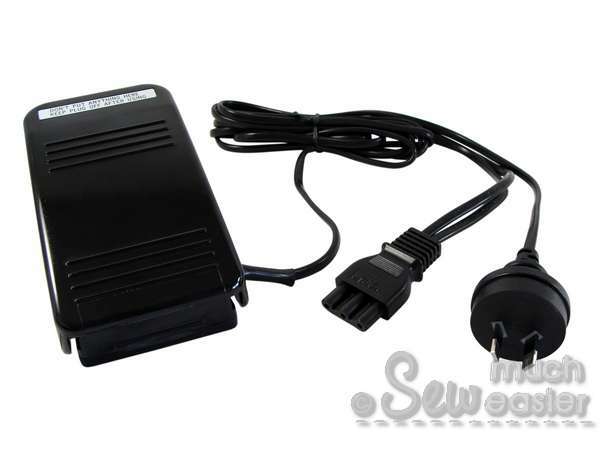 The bobbin winder is also super easy to use, as well as the foot pedal you use to sew. 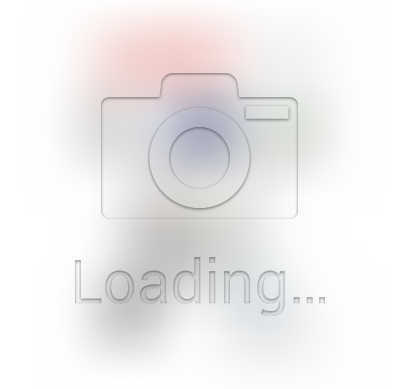 You can go REALLY slow if you are not as experienced (like me) or go REALLY fast if you start to get the hang of it. I'm really glad I got a Janome and I hope it doesn't break in the near future since it's so cheap! 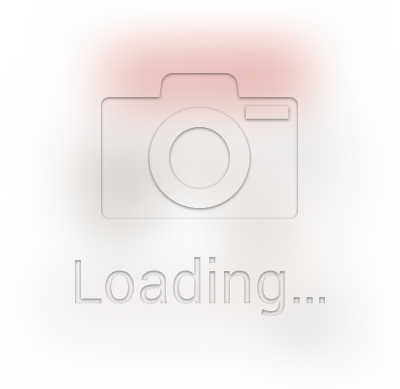 I'm pretty sure most if not all the problems I am having (such as the thread getting stuck) are from user errors. I still have no idea when to adjust the tension! In all, it's superb for first timers! 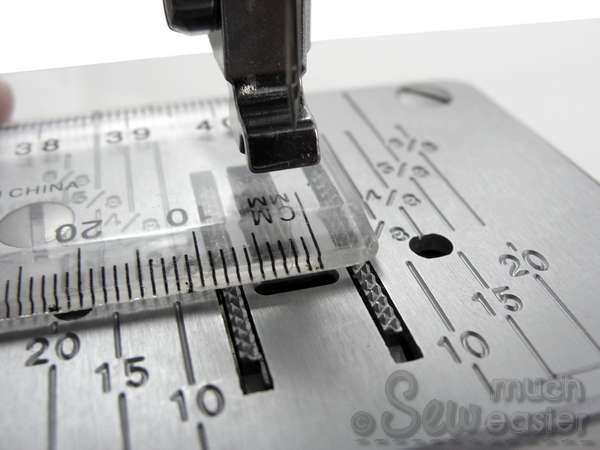 I hope this is useful for beginners that have no previous experience in sewing." 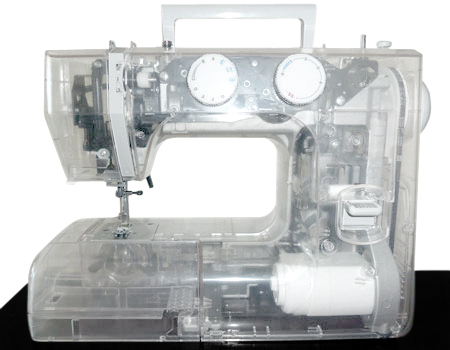 "I have very little previous sewing experience, so a fair amount of research led me to purchase this machine, and I am pleased with my purchase. 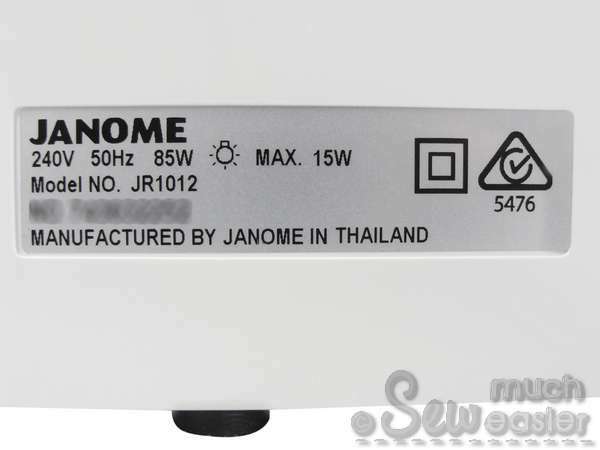 First I narrowed down my search to the Janome brand, since several review websites indicated that Janome has high quality parts (usually metal, not plastic). Other brands didn't seem to have the same reputation for machines manufactured in the past several years. 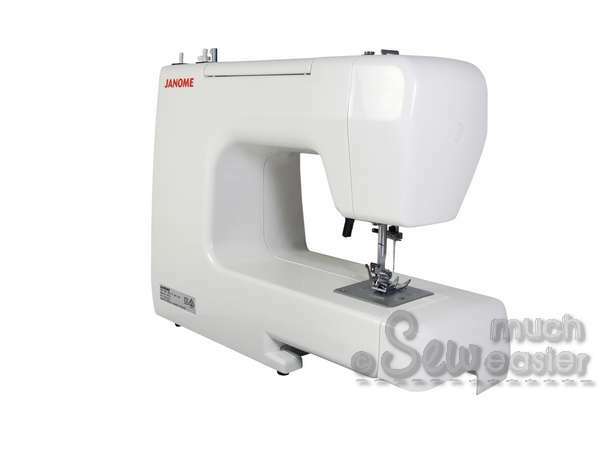 So, I chose to narrow my search to Janome machines. This machine looked both affordable and easy to use, and it is just that. The instruction manual is very easy to read, with line drawings to guide you, and it will help you figure out anything you need to know about operating the machine. 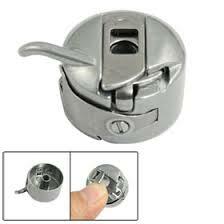 The presser foot is easy to quickly change out with the other foot attachments, such as the zipper foot, by releasing a small lever on the back. I found it was very easy to sew zippers to a dress and a pillow cover that I made. The feed dogs (the gripping "teeth" that guide your fabric through as you sew) can be covered/disabled if you don't want to use them at times. I haven't tried sewing buttons or making buttonholes with it yet, so I can't speak to that function. As for stitching, the options are basic, which keeps it simple for a beginning user. 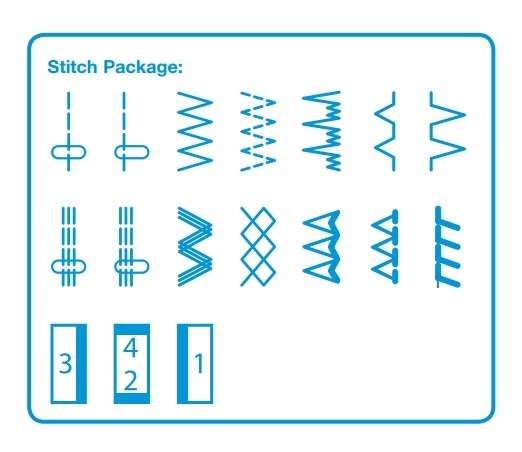 Basically there are a couple of straight stitches and a few zig zag stitch options, which are helpful for either very basic embroidery patterns, or for creating zig zag seams for stretchy fabric. 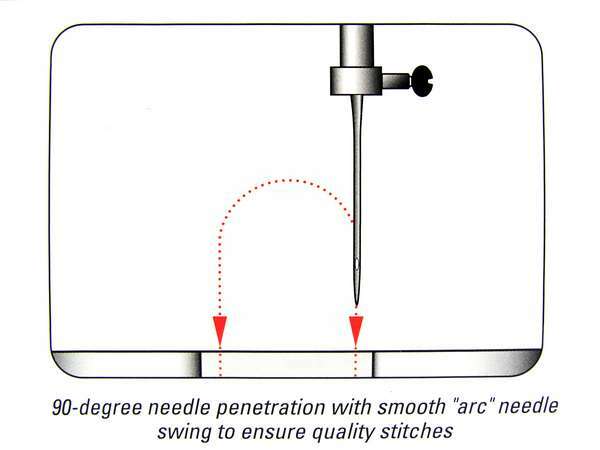 It is easy to adjust the length of stitches as well as the stitch type by turning the dials on the front of the machine. Filling and threading the bobbin was very easy to do, just follow the instruction manual. I haven't had to adjust the tension at all since I bought the machine, and I have sewn on woven fabrics as well as t-shirt type jersey fabrics. If you're sewing with delicate or stretchy fabrics I do recommend buying some universal ball point needles since they help prevent accidental tearing or snagging of the fabric. I would definitely recommend this machine." "I've been sewing since I was a little girl and now my 7 year old desperately wanted a sewing machine. We looked high and low before settling on this one and I'm very glad we did. We took it out of the box, and started right away winding the bobbin, threading and setting the tension. My daughter happily sewed with my guidance her first project - a pillow case. It is very lightweight, easy to figure out due to simple dials and instructions. My advice is to buy extra needles and bobbins to have on hand, because this machine doesn't come with a lot." 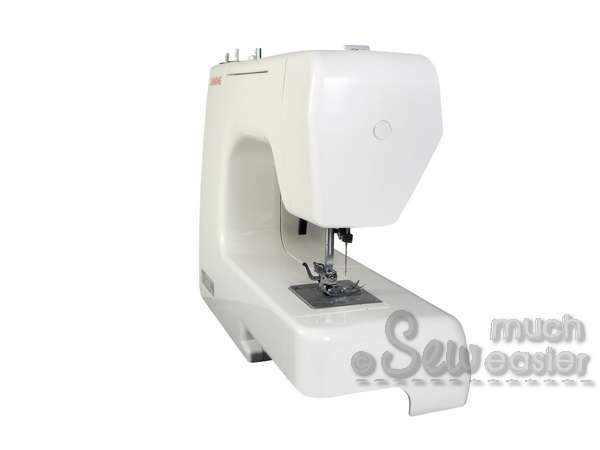 ..... then the team here at SewMuchEasier are ready and waiting to get your Janome JR1012 sewing machine on its way to you, delivered anywhere in Australia! 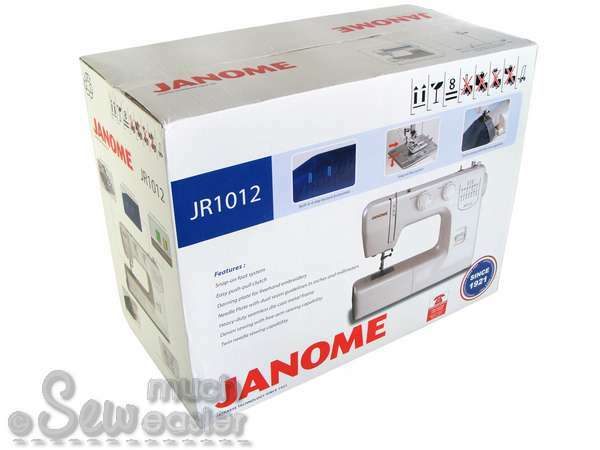 When you open it up you'll find your new Janome JR1012 safely tucked inside, ready to go. Simply Click Add to Cart & Secure Yours Now! Does this product come with Warranty? We serve thousand of happy sewists across Australia - many continue to shop with us over the years - because they know we take care of our customers in time of need. When you shop with us, you can Enjoy a Two-Year, Back-to-Base Warranty covers all Manufacturing Faults - equivalent or better than other brick-and-mortar shops. Because your peace of mind is important to us. 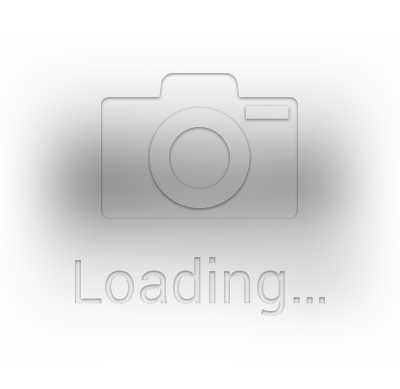 When You purchase from us, You are automatically under OUR warranty. 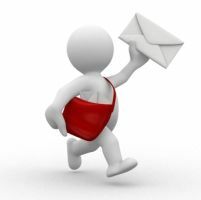 No need to send warranty cards back - We will simply keep your details on file and contact you from time to time just to make sure you're happy. 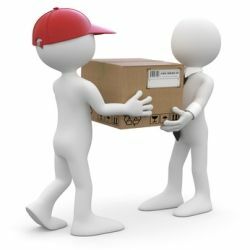 The warranty is a return to base warranty, so in the unlikely event your machine needs repair from manufacturing faults, simply return it to us, covering postage from your end. 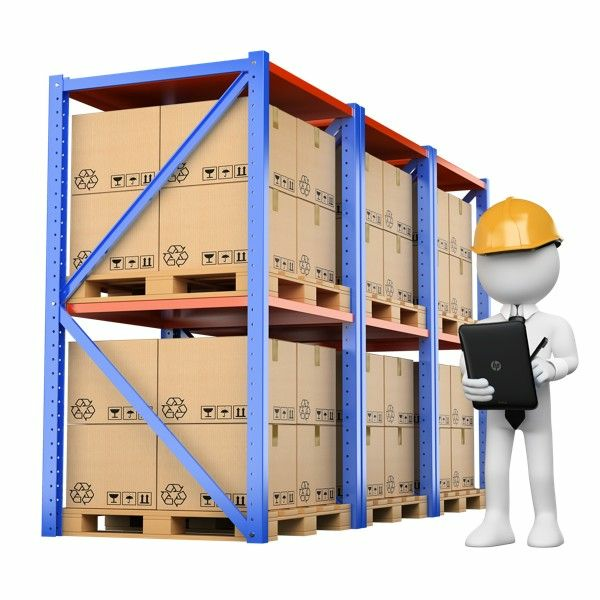 You need to hold on to the original box with ALL internal packaging to ensure safe travel - so that your machine is well-protected if and when you ever need to send it anywhere. We cannot accept COD or unpaid deliveries. 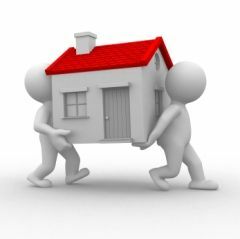 We take care of the repair AND courier it back to you for FREE. This is a REPAIR warranty. And the actual repair work will be carried out by a Janome Authorised Repairer (who also looks after Elna). 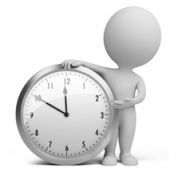 If your machine is declred unrepairable by the repairer then we reserve the right to either replace your machine or give you a refund of your purchase price excluding delivery costs. Please see our terms for full details. We count on you to help us look after you. As with all warranties, a few reasonable conditions do apply. 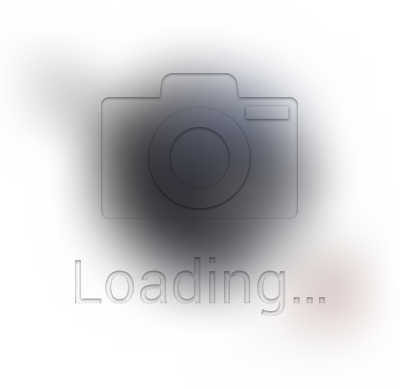 Damage caused by neglect or misuse of the product is not covered. This includes using the item outside it's recommended limits, or not adhering to the recommended usage guidelines contained within the product user guidelines contained withing the product user guide. Wear-and-Tear or Expendable parts are not covered. Including but not limited to things like needles, belts, springs, light bulbs, bobbins, bobbin cases, thread cutters and needle plates that will need replacement from time to time. 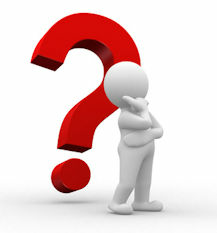 Approval to return your machine to us under warranty must be granted before you send it because we need to know what the issue is in order to work out the best solution for you. 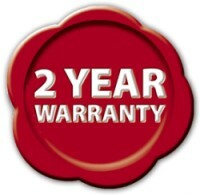 Refer to our full terms and conditions for more details on this warranty. When you buy from us, you are accepting these terms and conditions. 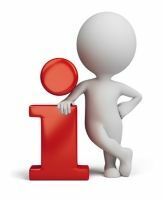 At any stage if you have a question, all you need to do is contact us via email and we will respond to you promptly and courteously. We will always do our best to resolve any concerns with a positive outcome.